Shaw, J.M., Jenkins, A.R., Allan, D.G. & Ryan, P.G. 2015. Population size and trends of Ludwig’s Bustard Neotis ludwigii and other large terrestrial birds in the Karoo, South Africa. Bird Conservation International, Published online 09 February 2015. Altwegg, R., Jenkins, A. & Abadi, F. 2014. 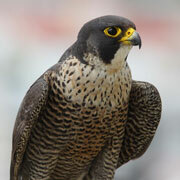 Nestboxes and immigration drive the growth of an urban Peregrine Falcon Falco peregrinus population. Ibis 156: 107-115. Krüger, S.C., Allan, D.G., Jenkins, A.R. & Amar, A. 2014. Trends in territory occupancy, distribution and density of Bearded Vulture Gypaetus barbatus meridionalis in southern Africa. Bird Conservation International 24: 162-177. Saether, B-E., Coulson, T., Grøtan, V., Engen, S., Altwegg, R., Armitage, K.B., Barbraud, C., Becker, P.H., Blumstein, D.T., Dobson, F.S., Festa-Bianchet, M., Gaillard, J-M., Jenkins, A., Jones, C., Nicoll, M.A.C., Norris, K., Oli, M.K., Ozgul, A. & Weimerskirch, H. 2013. How life history influences population dynamics in fluctuating environments. The American Naturalist 182: 743-759. Jenkins, A.R., de Goede, J.H., Sebele, L. & Diamond, M. 2013. Brokering a settlement between eagles and industry: sustainable management of large raptors nesting on power infrastructure. Bird Conservation International 23: 232-246. Jenkins, A.R., Shaw, J.M., Smallie, J.J., Gibbons, B., Visagie, R. & Ryan, P. 2011. 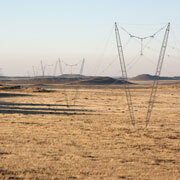 Estimating the impacts of power line collisions on Ludwig’s Bustards Neotis ludwigii. Bird Conservation International 21: 303-310. Jenkins, A.R., Smallie, J.J. & Diamond, M. 2010. Avian collisions with power lines: a global review of causes and mitigation with a South African perspective. Bird Conservation International 20:263-278. Shaw, J., Jenkins, A.R. & Ryan, P.G. 2010. Modelling power line collision risk in the Blue Crane Anthropoides paradiseus in South Africa. Ibis 152: 590-599. Shaw, J., Jenkins, A.R., Ryan, P.G. & Smallie, J. 2010. 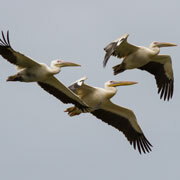 A preliminary survey of avian mortality on power lines in the Overberg, South Africa. Ostrich 81: 109-113. Jenkins, A.R., Allan, D.G. & Smallie, J.J. 2009. Does electrification of the Lesotho Highlands pose a threat to that country’s unique raptor fauna? Dubious evidence from surveys of three existing power lines. Gabar 20: 1-11. Jenkins, A.R., Allan, D.G., Botha, A., Harvey, A., Kemp, A.C., Monadjem, A., Rodrigues, L., Rushworth, D., Stephenson, A. & van Zyl, A.J. 2008. Preliminary survey of Taita Falcon Falco fasciinucha in the Drakensberg escarpment region of Mpumalanga and Limpopo Provinces, South Africa. Bulletin of the African Bird Club 15: 53-58. Jenkins, A.R. & van Zyl, J.A. 2005. 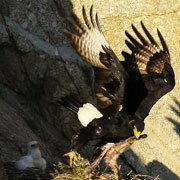 Conservation status and community structure of cliff-nesting raptors and ravens on the Cape Peninsula, South Africa. Ostrich 76: 175-184. Jenkins, A.R. & Hockey, P.A.R. 2001. Prey availability influences habitat tolerance: an explanation for the rarity of peregrine falcons in the tropics. Ecography 24: 359-367. Jenkins, A.R. 2000. Hunting mode and success of African Peregrines Falco peregrinus minor: does nesting habitat quality affect foraging efficiency? Ibis 142: 235-246. Jenkins, A.R. 2000. 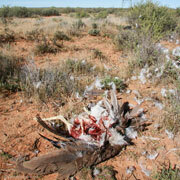 Factors affecting breeding success of Peregrine and Lanner Falcons in South Africa. Ostrich 71: 385-392. Jenkins, A.R. & Benn, G.A. 1998. Home range size and habitat requirements of Peregrine Falcons on the Cape Peninsula, South Africa. Journal of Raptor Research 32: 90-97. Curtis, O,, Malan, G. & Jenkins, A.R. 2007. Multiple-brooding in birds of prey: South African Black Sparrowhawks Accipiter melanoleucus extend the boundaries. Ibis 147: 11-16. Machange, R.W., Jenkins, A.R. & Navarro, R.A. 2005. Eagles as indicators of ecosystem health: Is the distribution of Martial Eagle nests in the Karoo, South Africa, influenced by variations in land-use and rangeland quality? Journal of Arid Environments 63: 223-243. Curtis, O.E. & Jenkins, A.R. 2005. Shell thickness and size of Peregrine Falcon, Falco peregrinus minor, eggs from two areas in South Africa. Ostrich 73: 64-66. Curtis, O., Simmons, R.E. & Jenkins, A.R. 2004. Black Harrier Circus maurus of the Fynbos biome, South Africa: a threatened specialist or an adaptable survivor? Bird Conservation International 14: 233-245.